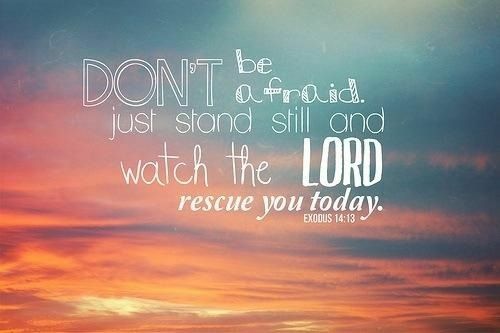 I Am your defense, says the LORD, and I will rescue you. I will save you from the enemy attacks and place My wall of fire about you and My glory within you. I will keep you from the assaults of the enemy, for I will fight for you. I will be with you in the battle. It is Mine. Trust that I will see to it that you succeed in the war that is against you, for not only Am I on your side, but I cannot be defeated. I will cause you to be as undefeatable as I Am, for I Am your shield. I have given you spiritual weapons that the enemy cannot match and I will cause you to have victory over every attack, says the LORD. I will stand along side to help you, and you will not fall nor fail. I will hold you with My right hand and keep you standing even in the heat of the battle, says the LORD. You are fully furnished onto every good work. Do not allow the enemy to convince you that you have anything missing within you. I have fully given you My NAME to use. It is above every other name, and as you use it in prayer and declaration, it cannot be defeated. No power can defeat My name, and you have the rights and privilege to use it. I have finished the WORK in you by My shed blood and the finished work of the cross. Everything you need to succeed and win every battle and war is in Me, and you are complete in ME, says the LORD. I have fully equipped you in Me. You are a mighty conqueror in Me and I will stand with you to insure that you will overcome and overwhelm the enemy and stand. I will always cause you to triumph in Me,says the LORD.